Eurodollar is still being corrected. Possibly, the price may try to test level of 38.2%. If it rebounds from this retracement, the market may start a new descending movement towards the group of lower fibo-levels. 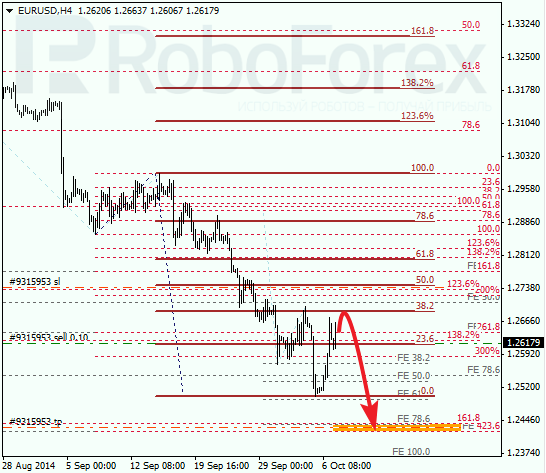 As we can see at H1 chart, temporary fibo-zones indicate that the price may soon reach the predicted targets at 1.2435 – 1.2425. I’ve got only one sell order right now; the stop loss on my yesterday’s order worked. I’m planning to increase my position as soon as the market resumes falling. In case of Franc, the current correction deepens as well. Most likely, in the nearest future the price may test level of 38.2%. 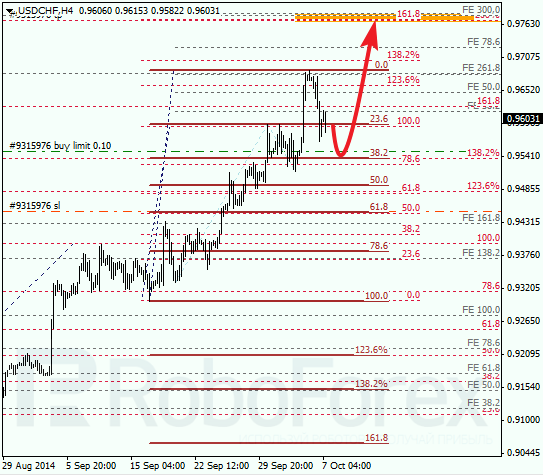 I’ve placed a limit buy order a bit higher, with the stop loss below 61.8%. The target is still the group of upper fibo-levels. 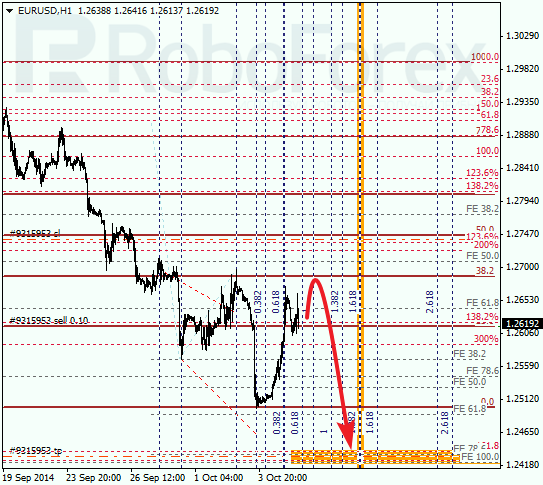 At H1 chart we can see that the price may reach a new local low during the next several hours. In addition to that, temporary fibo-zones indicate that the pair may reach the group of upper fibo-levels by Thursday. If the market rebounds from them, Franc may start a deeper correction.